2012 has been a big year for me, marking my move into ebooks. 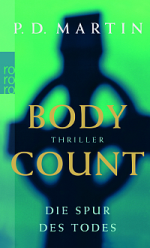 To those of you who’ve followed me (either reluctantly or eagerly) into ebooks, thanks! I’ve enjoyed the additional freedom of ebooks and the fact I can get the books out to you sooner. In November I’m conducting a one-day workshop at the NSW Writers’ Centre. On Saturday 3 November I’ll be conducting a one-day workshop at the Tasmanian Writers’ Centre. At the Salisbury Writers’ Festival I’ll also be running a master class on writing a novel. Sunday 26 August, 9.30am-3pm. At 11.15am, I’ll be taking part in one of the Salisbury Festival panels – Pathways to Success. The other panelists are: Dylan Coleman, Max Anderson and Dan McGuiness. On Friday 24 August I’ll be launching the Salisbury Festival with my keynote address. What goes on in the mind of the criminal? Crime authors Rochelle Jackson, Liam Houlihan, Liz Porter and PD Martin give their considerable insights into what makes a criminal tick. Find out all about my life of crime at Ashburton Library. The first PD Martin book since Kiss of Death (which was released in 2010!) is now available!!! Hell’s Fury is book 1 in a new spy thriller series. 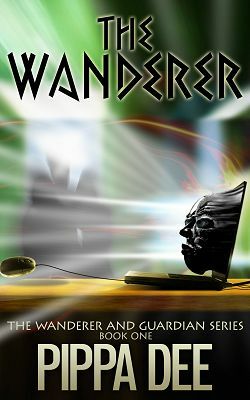 The Wanderer is now available as a Kindle book on Amazon. The Wanderer marks my debut under the pen name, Pippa Dee. While The Wanderer is a children’s fantasy novel aimed at ‘middle grade’ readers (9-12 year olds) it’s also a classic fantasy novel for adults too.